Dr. Leonidas Kirby was born on December 1, 1850 in Green County, Missouri. He was raised by his mother’s brother, Dr. O. C. Bender, in Kansas and studied medicine under his guidance. In 1872, he moved to Harrison, Arkansas, then returned to St. Louis to enroll in Medical College. 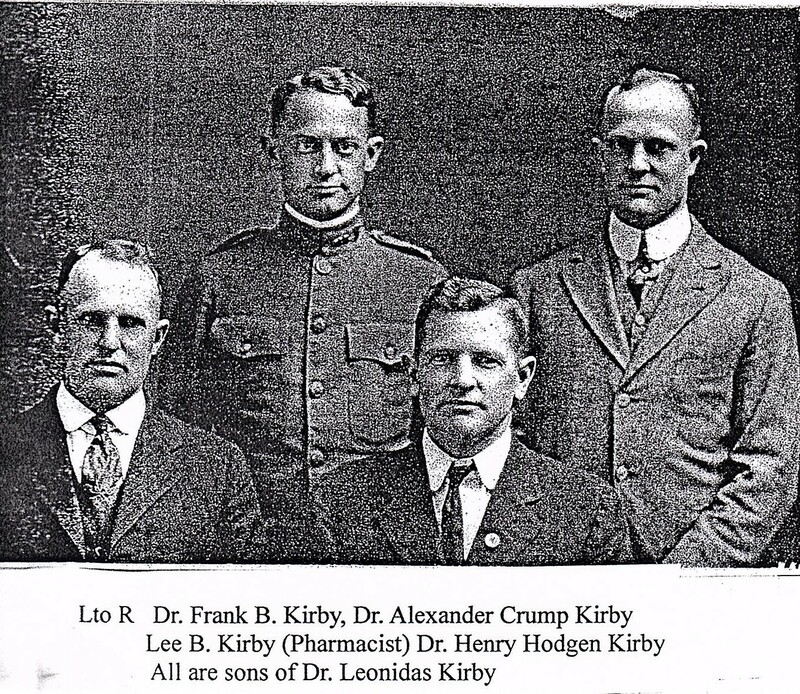 Dr. Leonidas Kirby had four sons, and three of those became doctors. Dr. Franklin Beverly Kirby, Dr. Henry Hodgen Kirby, and Dr. Alexander Crump Kirby. These three doctors were the second generation of Kirby doctors.